Great worker! Worked hard to fix unexpected issues and handled them with incredible professionalism. We will continue to work with this worker on all our future system projects. Extremely highly recommended! Helped us quick, also helped us with issues which were not anticipated and were out of scope as per initial definition of the project. Highly Recommended! It was the utmost pleasure to work with netedge, they are very professional, quick and patient. They will do anything you ask them to do. Communication was great. They will not rest until you are completely satisfied. If you can get them to work on your project just grab them! Will use again soon. Good worker to work with. Hardy is one of the few people who is available readily and rare on RAC. I appreciate his work and cooperation. He went out of his way to finish this proejct and wrorked very very hard. Well done Hardy, Best of luck! Hardy is one of the best programmer /tech that i have used on rent a worker. i have now elected to give him all my jobs for him and his team. he was very diligent and effective and he understood my needs. This was a difficult move. Netedgetechnology worked through all the problems. They asked question and were very resposive to my requests. Excellent Communication. My project was delayed months due to my falling ill. No one could have been more patient than this team throughout my illness relapse & convalescence. Definitely will hire again. I am really impressed with the service and dedication of server team to manage the aws servers and services. We have great experience with team during our server setup project. Very supporting and try their best to setup the server. Thanks for your kind, honest and great service. We will keep on doing buisness with NetEdge Technologies. Netedge handled my assignment very diligently. He displayed the ability to follow creative direction while adding his own creative input. His ability to listen and understand his clients’ needs allows him to consult effectively. He is awell connected professional with an impressive profile and background and I would definitely endorse him and consider for anything appropriate. 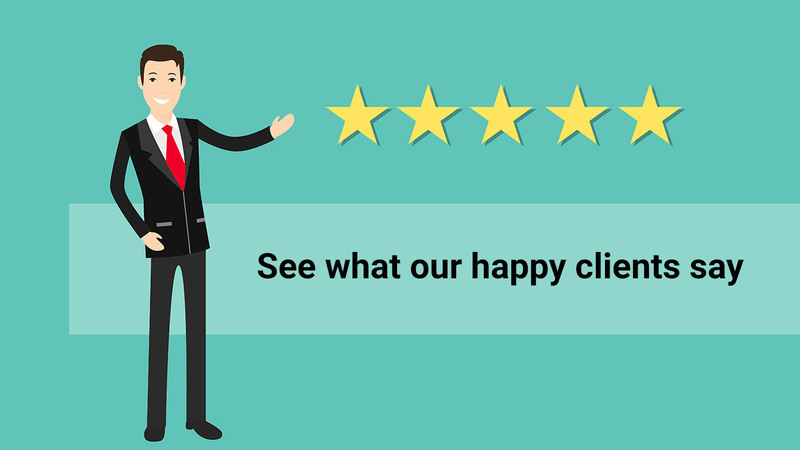 Netedge Technology has offered us stellar customer support –our team could not be happier working with them”“Thank you for being so reliable and responsive. Thank you forTRULLY being 24/7 customer support.“Netedge Technology finds a way to make anything happen they never tell us something can’t be done and it’s great to be working with a team that has that mentality. Netedge Technology provided me with the right resources at the right time. They have done detailed work on our servers that were above expectations. I would certainly recommend Netedge Technology to any company looking forward to outsourcing server admin. We worked with Netedge Technology for almost 10 years and it has always been a pleasure to exchange with them. We did setup together several LAMP servers using Debian, Redhat and Proxmox systems and he administered my servers around the clock since the beginning. The team has always been reactive and has made themselves available to solve issues and find solutions. Netedge Technology has been ably maintaining our UNIX servers, 24 X 7, since September 2007. As we grew and developed our company, we faced several challenges and Netedge has never let us down. They have played a key role in increasingreliability and performance of our servers. They are friendly, approachable and professional. The team has been very responsive and prompt for every support ticket or call that we have logged. On many occasions, for mission-critical systems, they have had to work overnight for us. But the entire team has been consistently positive and reliable. When we need help in a hurry, the personal support that they provide is invaluable for our business. Netedge has been an excellent choice as a business vendor. I would highly recommend Netedge to any company that is looking for similar services. I just passed 2 great years with Netedge Technology. Since I have 4 hosting company from early 2004 and I used more than 5 online hosting Support provider team and many individuals, I never get any support team like netedgetechnology.com. First thing they are Reliable, they are professional, they are on time, they do what they Say. Very Expert Staff in Linux, cPanel, InterWorx and Windows servers. Initially I use their Shared support team for few months and then upgraded to dedicated team and I am so happy! When I started usingsupport of Netedge Technology we had 3 servers only and now we have reached to 28 servers with the help of great 24x7 webhosting support. Overall I can say it’sa best team for your hosting support and in a very cheap price. Many Thanks to Netedge Technology. Netedge Technology has done excellent work in setting up a professional hosting environment and monitoring service for us. They have management for us, in the past months, hundreds of clients, managing machined with, in total many hundreds of thousands of users. They did not require much time in learning completely new technology, nor do they require much help in accomplishing tasks we require. We would highly recommend them for your hosting/server management. Working with Netedge Technology has been an easy and rewarding experience. I was looking for a server monitoring service and NetEdge has really stepped up to the plate. With fast response to my tickets it really give me peace of mind for my projects. I have also used Netedge for other programing needs, from Wordpress Plugin issues to php coding errors. They have been able to solve them all. There fast response time and constant updates have really kept me in the loop on all projects. I will continue to use Netedge on all future projects knowing that their skills heave taken my services and websites to the next level. To whom so ever it may concern, it is with pleasure that I endorse Netedge Technology in commendation of their management of our internet server technology. Working with Netedge Technology for over 12 months, I have found Netedge Technology to be very efficient and effecting in the management of our servers. Working in the fast paced and mission critical information technology industry it is of paramount importance to have the true expertise and skill set of a professional IT support team which Netedge Technology Possess. Prior to engaging Netedge Technology's support service our servers were constantly problematic. Subsequent to which, our server has since been running as smooth as can be dreamt.